Meyers Nave attorneys advise clients on a multitude of airports issues, including federal aviation law, municipal/government law, business transactions, personnel and labor matters, professional services, construction issues, international alliances, environmental and land use issues, disadvantaged/local business issues, and law enforcement/security matters. Representing clients in both transactional and litigation matters, we draw extensively on our firsthand, in-depth knowledge of public law in California as well as laws specific to airport operations—forecasting, air quality, aircraft noise abatement, Airport Land Use Commission (ALUC) and Federal Aviation Administration (FAA) issues—to achieve successful outcomes. Our attorneys have worked on projects at involving major airports throughout California, including Los Angeles, Oakland, San Francisco and Van Nuys. We have helped clients in such matters as the following. Our work for Airport Land Use Commissions frequently involves creating and updating individual airports’ ALUCPs. We have a keen understanding of the interplay between aviation infrastructure and development of the surrounding area, and methods to ensure that both areas support economic viability and public health and safety. To reach these two end goals, we guide public agencies adeptly through the maze of land use and environmental regulations on the federal, state and local levels. Airport noise is a chief concern of our airport and municipal clients. To develop airport noise compatibility plans, our team conducts a thorough review of both the Noise Exposure Maps and the Noise Compatibility Program from the Federal Aviation Regulation Part 150 Noise Compatibility Regulation (Part 150 Study) so we can learn the existing and projected future conditions of the airport. We then advise our clients on strategies to mitigate existing incompatible land uses and prevent development of new incompatible uses. The California Airport Noise Regulations, for example, encourage the use of aviation easements as an important land use compatibility tool. 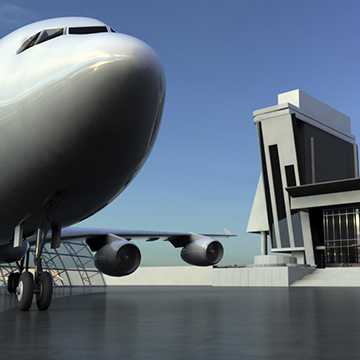 Most recently, we have advised the Los Angeles World Airports (LAWA) in federal noise studies for both LAX and the Van Nuys Airport and also counseled airports as well as municipalities in connection with airport noise abatement programs. We have successfully defended airports’ Environmental Impact Reports (EIRs)/Environmental Impact Statements (EISs) in their airport expansion programs. As an example, we represented Los Angeles International Airport (LAX) in connection with its approval of a $13 billion airport expansion. We advised LAX on a broad range of land use and environmental issues, including CEQA, NEPA, the California Coastal Act, the Federal Coastal Zone Management Act, the federal and state endangered species laws and other state and federal regulatory requirements. We represent and defend clients in all phases of a project, from conception to completion. Some of these projects entailed innovative DBE (Disadvantaged Business Enterprise) programs for concessions that were approved by the FAA; drafting and presenting proposals to local and state legislative bodies; and advising on the negotiation and legal defense of airline and concession leases. Further, our attorneys have, on behalf of our clients, negotiated professional services contracts with architects, engineers, construction managers, and accountants as well as protected clients from challenges to the award of airport construction contracts. Like any public entity, financing is a core issue for airports. Meyers Nave attorneys have advised on the use of airport revenues to partially fund the Bay Area Rapid Transit (BART) extension to the San Francisco International Airport (SFO) and have also lent our expertise on a market stimulus program, which was a short-term landing fee discount program to promote new air service and generate additional airport revenue. Clients frequently engage us to assist in them in a wide range of labor and employment matters. Some of our experiences includes drafting labor/employment policies; negotiating Memoranda of Understanding (MOUs) with unions; and defending a project labor agreement for a large, complex airport expansion project. We have helped craft public policies and develop strategies concerning airport operations and concerns, including the development and defense of First Amendment free speech and charitable solicitation regulations at airports.